blueberry is my favorite. it beats out sweat cream by mere millimeters. 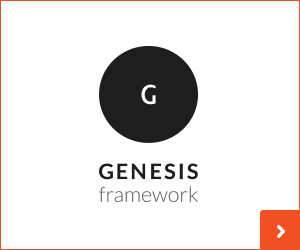 i have been thinking of ways to combine the two. my world would probably explode. boom! tiny smithereens of my day-to-day floating about the universe and i wouldn’t care an ounce as i sat and stuffed the worlds most perfect dessert into my face as i watched my world expanded/exploded like the big bang. boom! 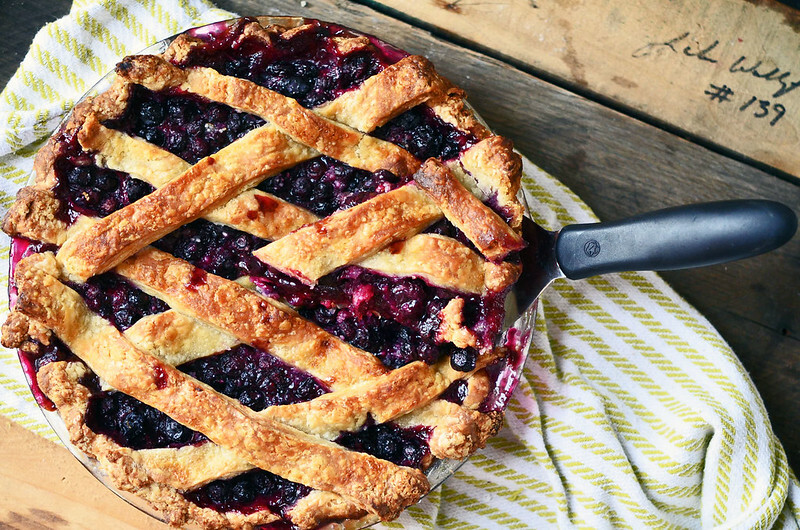 pie season, the best time to enjoy pie, is summer. am i wrong? yeah, sure fall is great for apples and thanksgiving has pumpkin and pecan, and christmas has the corner on rich bourbon pecan chocolate pies, but summer…summer! let me explain…first, there are more pie eating contests (yes, this is the first valid point that came to mind. it’s a secret dream of mine. i bet i could destroy some folks), fruits of all varieties are ripe and bountiful and lush and sweet and juicy , and dollops of luscious vanilla ice cream are at the ready. 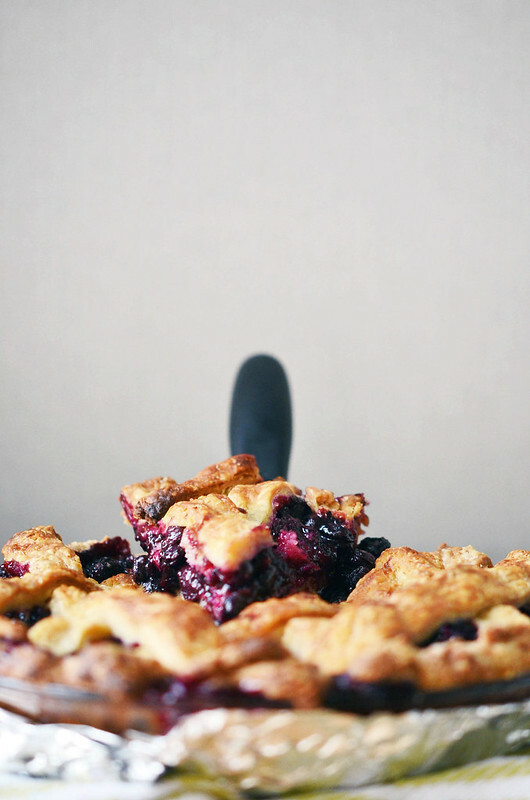 but can someone please tell me why oh why does pie season coincide with the hottest months of the year? peaches and berries and rhubarb should come to season in september. where the breezes are cooler and the air less thick buuuuuutttttt the mounds of vanilla ice cream aren’t as refreshing or as gloriously melty. gah! 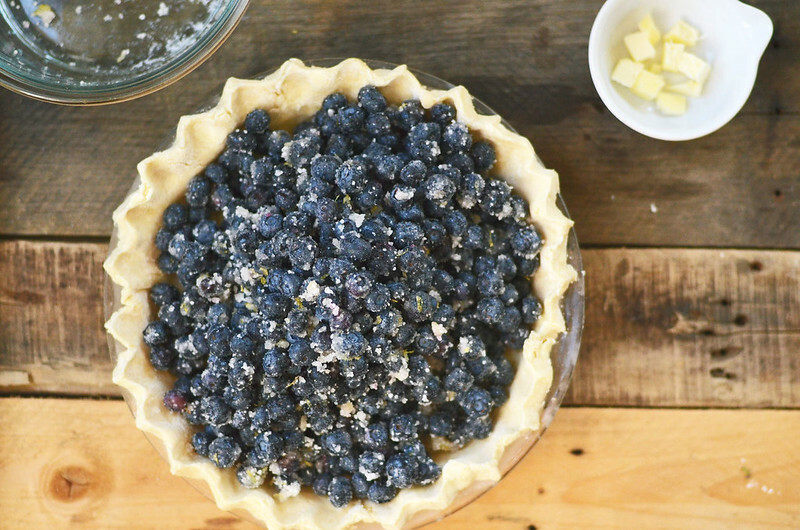 that thick, hot, steamy air can be so damaging to those cold butter bits and pieces and make pie creation, well doable, but it does require a few more pit stops in the freezer. i decided to pick one of the hottest days of this summer (so far, we still have a ways to go) to crank my oven to 425F and bake a pie. sweat trickled down my back and my face began to flush and the air conditioning was chugging along trying to keep up with the heat inside and out. what was i thinking? stan was laying limply across the hardwood floor, half way in front of a fan that any other day would cause mass hysteria because he is a cat and scared of air movement…however saturday, he just decided to screw being a cat. i felt bad, but it was all for pie. 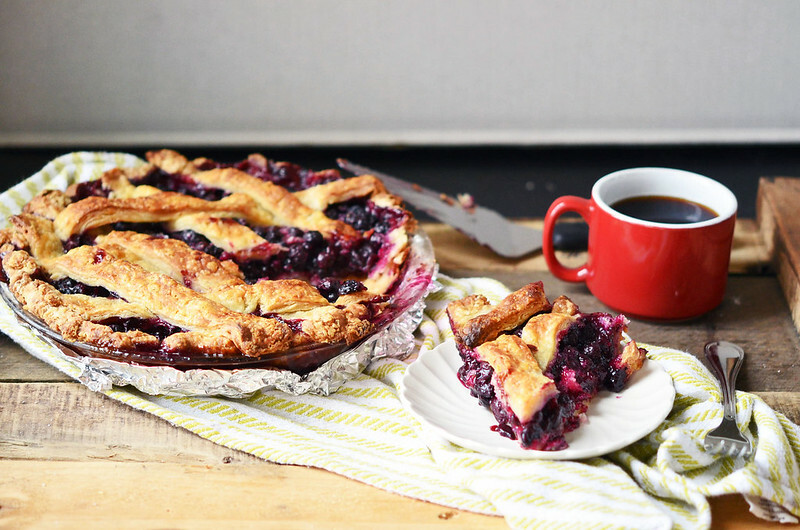 blueberry pie. my favorite type of pie. 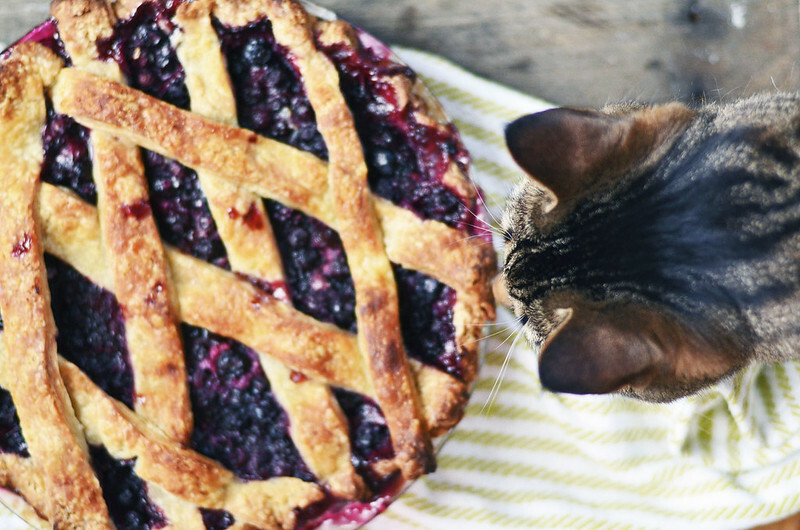 i would offer him a slice later, however he turned his little pink nose to my lattice crossed pie and asked for turkey instead. cats can be sooo weird. i am afraid i am turning into a crazy cat lady. i offered him pie. on to pie making. what if i opened up a pie shop? pipe dreams, people. pipe dreams. pie shop/coffee shop. coffee in small tea cups and always with a saucer. here we go, head out of the pie clouds. 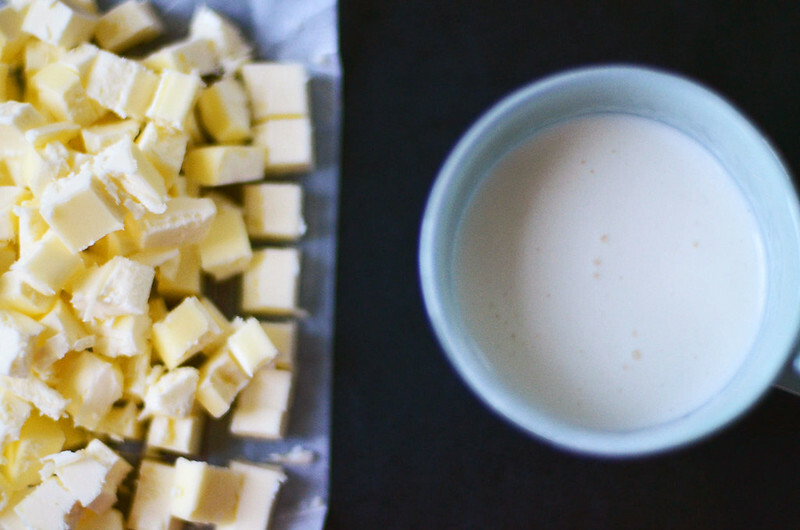 butter and buttermilk – keep ’em cold! 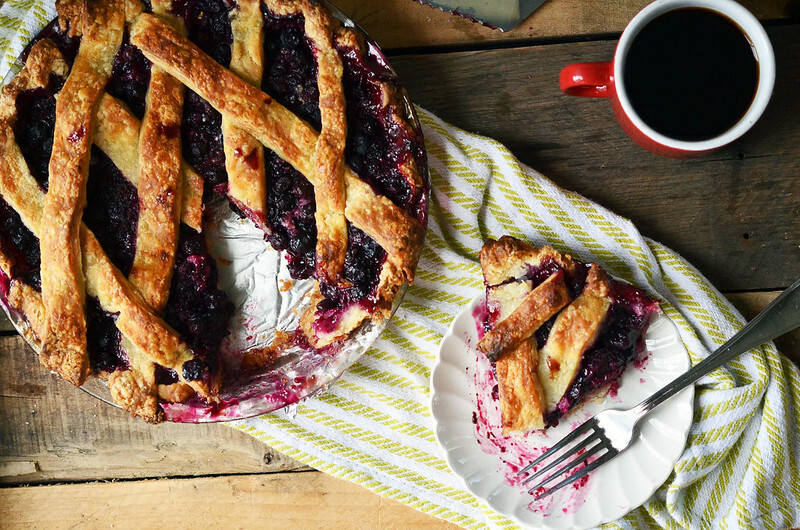 keeping these ingredients chill will keep you sane and your crust flakey. butter into flour, salt, and sugar. toss and begin to break the butter down into the flour. consider it therapy by butter. 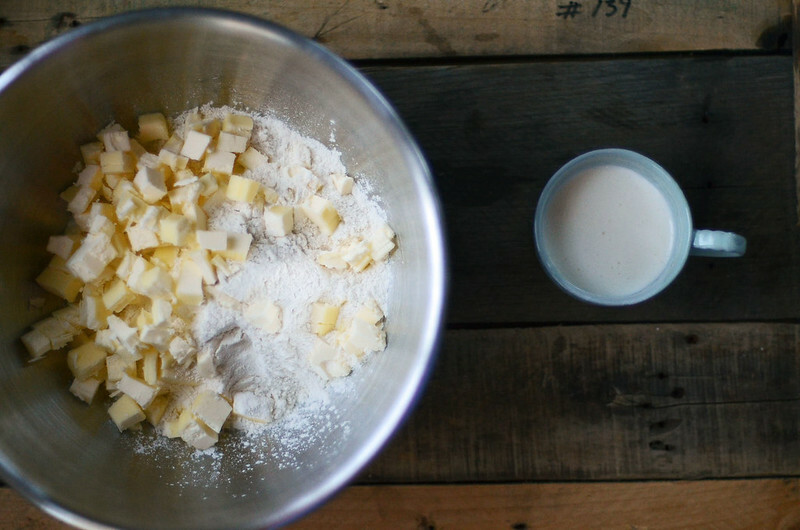 rubbing the butter into the flour…quickly, yet intentionally. deliberate actions. this is when my brain roams, yet becomes focused. i have never bought coarse meal nor have i ever ground my own…so, my knowledge of coarse meal is limited to what Google has to say on the subject. 5.6 million hits later… go for small peas and smaller divide and conquer. i am not an even divider. i try. these go straight to the fridge to rest. gotta roll out, transfer to pie plate, and wait to crimp…i couldn’t wait. i should have. the dough strips for the lattice had nowhere to attach. just wait. this goes straight to the freezer …. 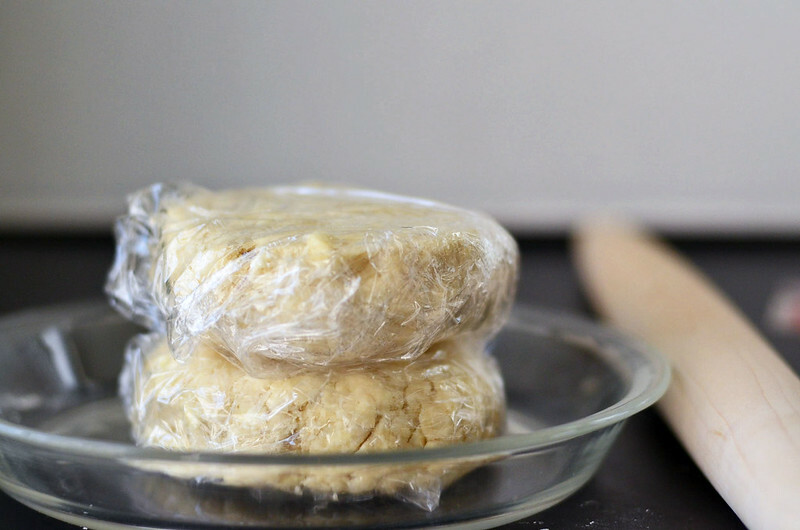 while the dough rests in the freezer and the oven is preheating…change direction and prep the filling. 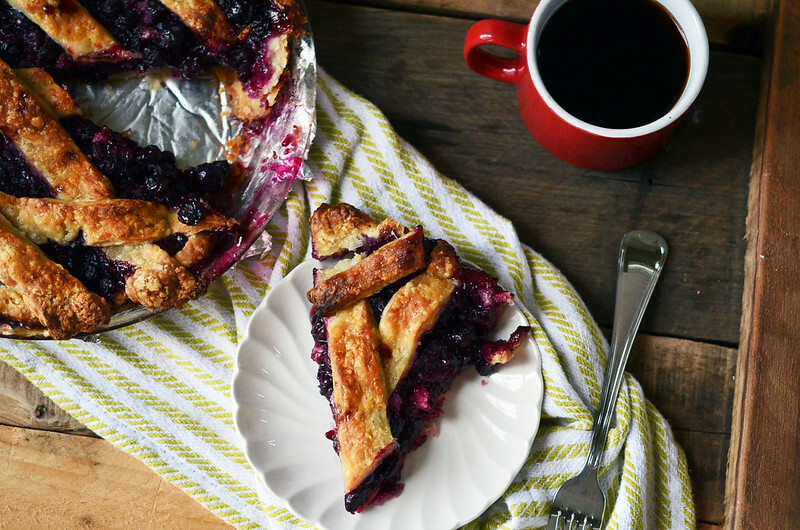 pick over the blueberries…there are always stems lingering. 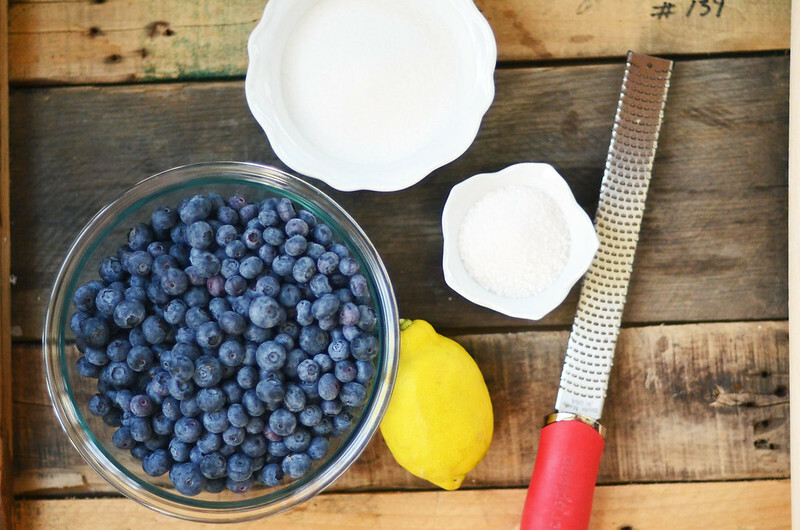 find the quick cooking tapioca…it’s in the back of your spice cabinet, ignored since your last blueberry pie. dump on the sugar and realize that the bowl you chose, once again, is too small. zest, juice and cinnamon round out the party. and then you have to wait for it to cool … so slices hold their shape. and you don’t burn your face. and once it is cooled…begin eating promptly and don’t stop until you are halfway through. the pie. stop half way only because you will need something to eat for dinner. and pie is just perfect for dinner. he was hoping for a turkey pie. 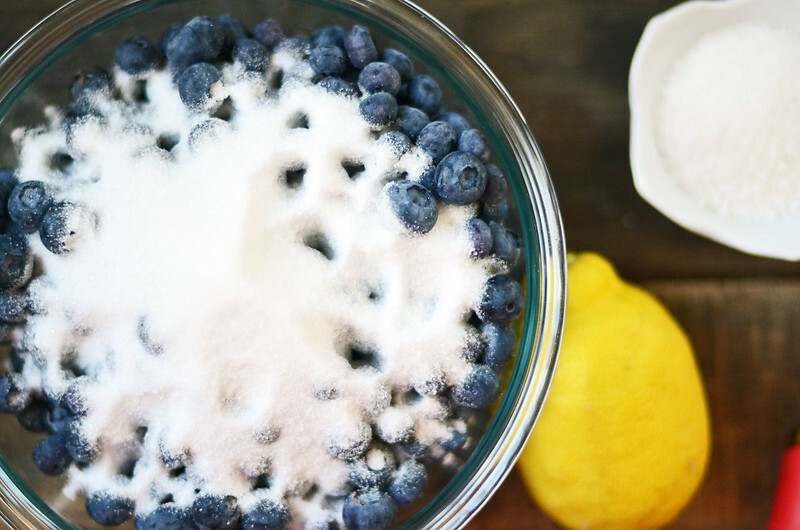 combine flour, salt, and sugar in a bowl. whisk to combine. add cold diced butter and begin to work butter into flour mixture using your fingertips or a pastry blender. break down butter until it resembles coarse meal and the largest bits are the size of small peas. (if it becomes too soft while doing this, stick everything in freezer for 10 to 15 minutes and then begin again - you can do this multiple times without any harm - the butter should still be cold once you have reached the coarse meal stage.) At this point, I like to rechill the mixture for about 10 minutes in the freezer. 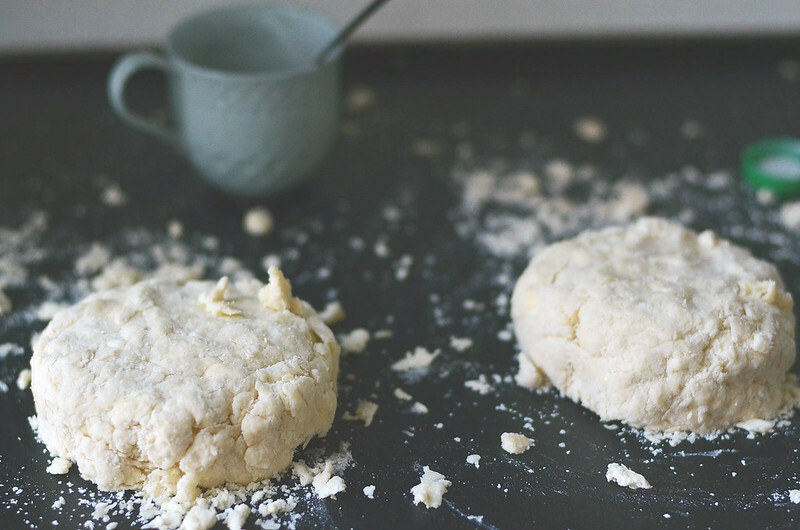 Using a fork, stir in cold buttermilk and mix until dough ball starts to form - have a tablespoon or 3 extra of buttermilk at the ready if dough is dry. 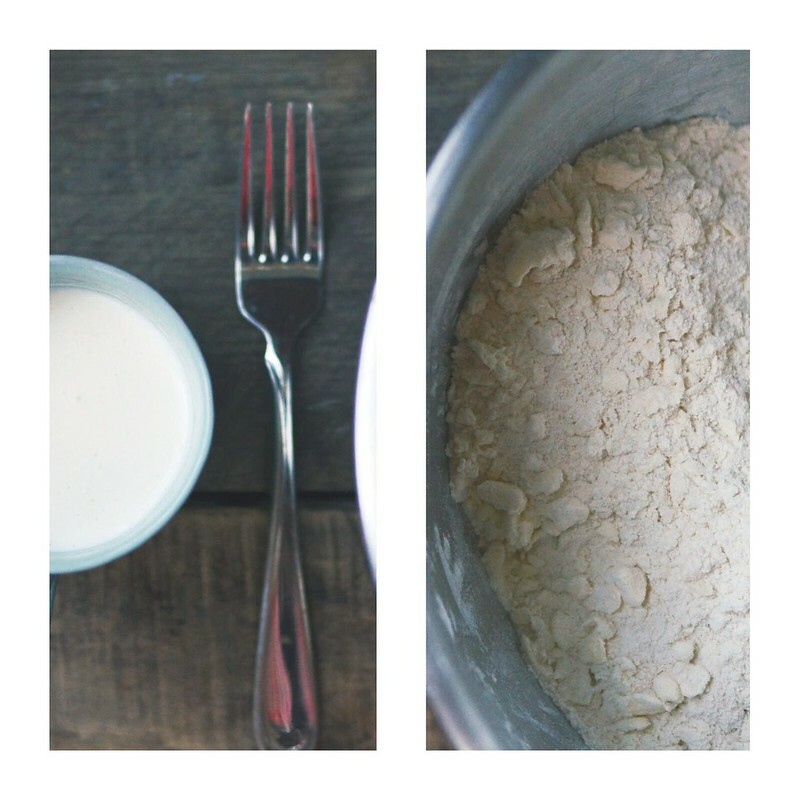 Empty contents out onto a lightly floured surface and divide into two even pieces. Knead dough just a few times to form a shaggy ball of dough. Flatten into two disks and wrap in plastic wrap and place in refrigerator for at least one hour upto 48 hours. 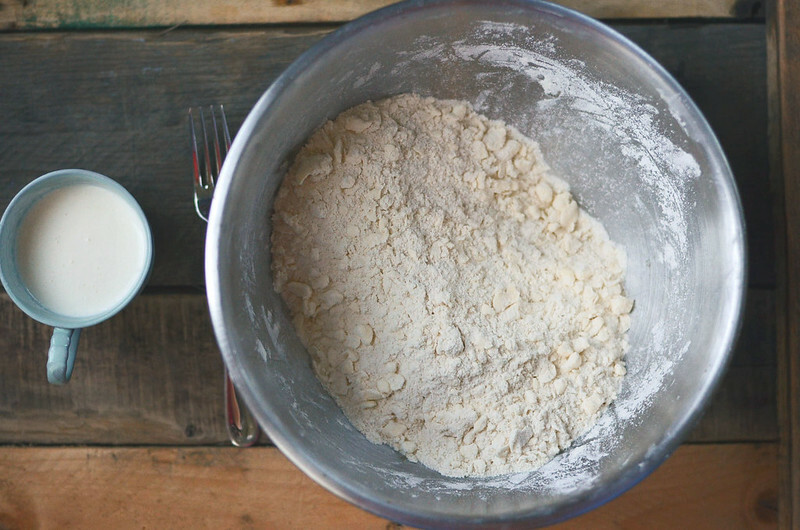 Remove one disk of dough from fridge,and on a lightly floured surface, roll out dough until it is about ⅛ inch thick and 12 inches in diameter. Fit dough into a 9 inch pie plate, trim off excess dough around edges - leaving about ½ inch overhanging the edge. 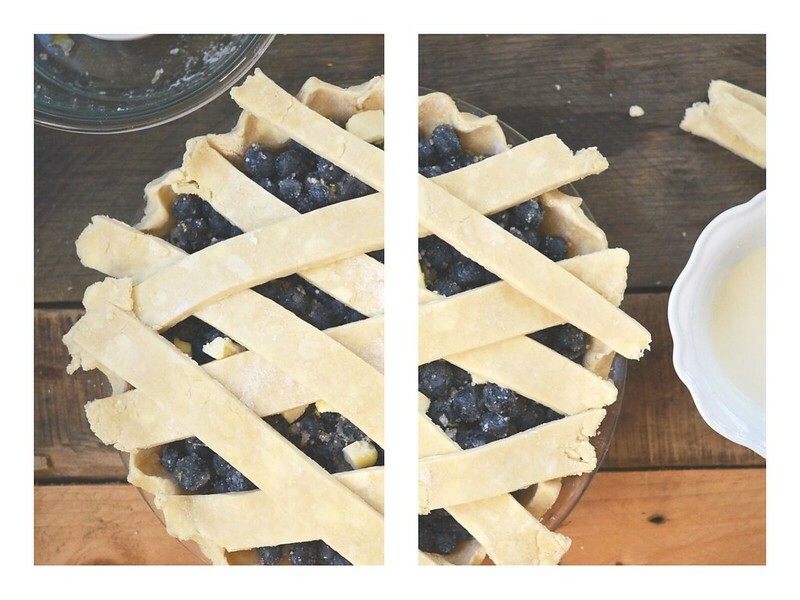 Place pie plate in freezer for 15 minutes. Prepare filling. 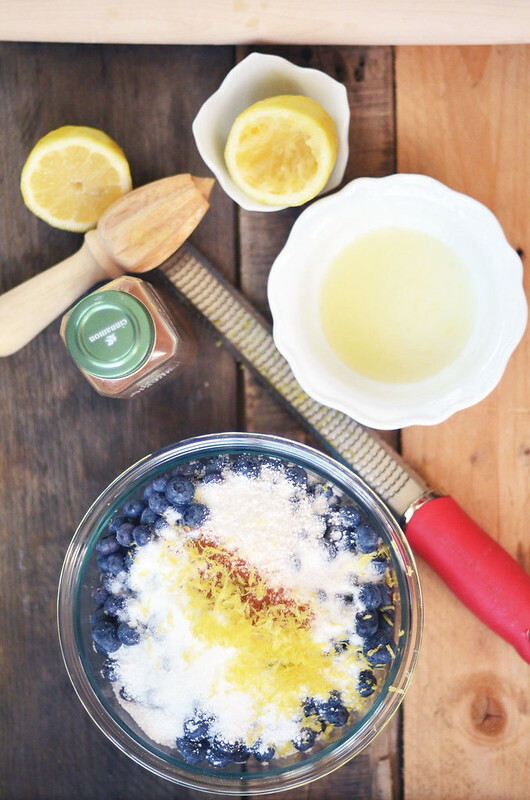 In a large bowl, combine blueberries, sugar, tapioca, salt, lemon zest and juice, and cinnamon. Toss to combine. Remove second disk of dough from fridge and roll out dough into a circle about 12 inches in diameter and ⅛th inch thickness (thereabouts). With a knife or a pizza slicer, cut into 1 inch wide strips. 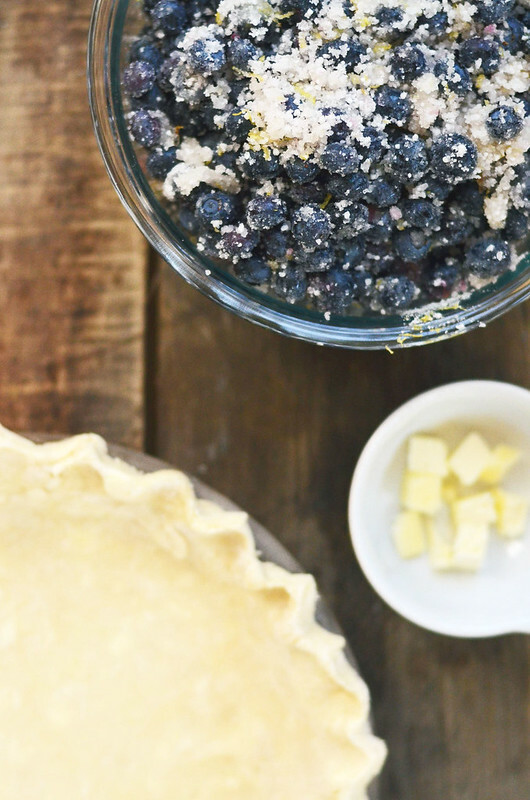 Remove pie crust from freezer and pour blueberry filling into pie crust. Dot filling with pieces of diced butter. 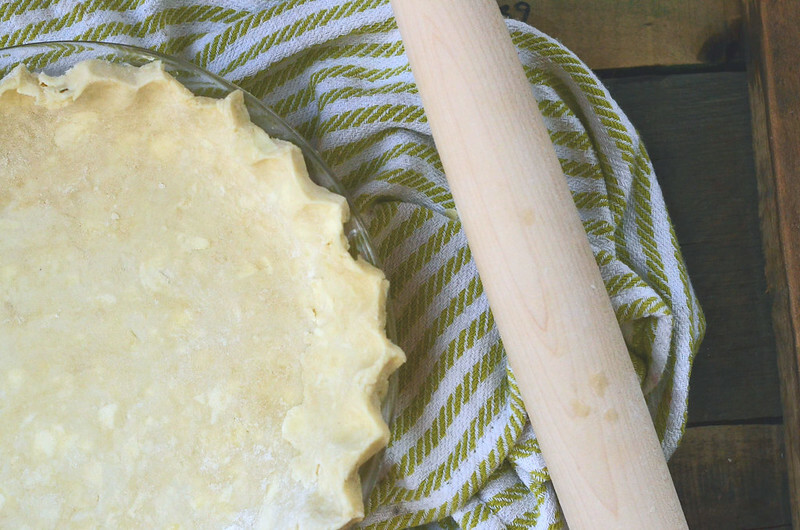 Taking strips of pie crust, lay them across the pie, either using a lattice pattern or any which way. Crimp the edges of the pie crust, folding under excess pie crust along the edges. Brush top crust with heavy cream or egg wash and sprinkle with sugar. 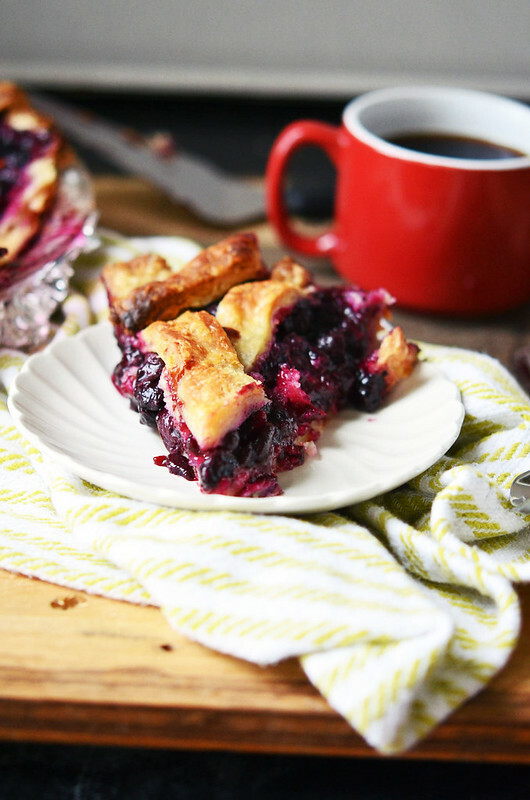 Place pie on a rimmed baking sheet and place on middle rack in preheated oven and let bake for 20-25 minutes until the top and edges begin to brown. Reduce oven temperature to 350F and continue to bake for an additional 30 to 40 minutes until the pie is golden brown and the filling is bubbling throughout. If the top crust or edges are browning too rapidly, tent with a piece of tinfoil for remainder of baking time. Remove from oven and place on cooling rack and let cool completely before enjoying.